Every so often, the media gets scammed by various organizations or individuals with agendas. It happens to the general media at large as well as to the Jewish media. It is this author’s contention that the report of the lost Aron and the Kailim of the Bais HaMikdash in an Ethiopan Church are just another one of these scams. Firstly, the “US-based Bible Archaeology Search and Exploration Institute (BASE)” is run by a guy named Bob Cornuke, who has no degree in Archaeology. Nor has he had any training in archaeology. He does hold degrees in biblical studies, but it is from the unaccredited Louisiana Baptist University. Most of the faculty of LBU got their degrees from LBU. LBU has no accreditation from any organization or agency that is registered with the US Department of Education. Secondly, the Bible Archaeology Search and Exploration Institution is US based. But it is run out of Bob’s house in Colorado Springs, Colorado. Thirdly, the history doesn’t make sense. The Bais HaMikdash was destroyed by the Roman empire in 70 CE. There are mekoros that say that the aron was found during the second Beis HaMikdash by an errant kohain – the indication is that it remained hidden and or buried in Eretz Yisroel. It could only have been removed by Rome if it was taken out of eretz Yisroel. Rome was everywhere, but not deep in Africa or in Ethiopia. The first verifiable kingdom of great power to rise in Ethiopia was that of Axum in the 1st century CE – but it had nothing to do with Rome. Rome would not give up its treasures either before or after to an obscure country. True, the Persian religious figure Mani listed Axum with Rome, Persia, and China as one of the four great powers of the time, but there were no religious, cultural, social or business connections. Christianity was only later introduced into Ethiopia at around 330 CE by Frumentius, who was consecrated first bishop of Ethiopia by Saint Athanasius of Alexandria. Fourthly, Bob Cornuke is a former real estate agent. Generally, former real estate agents with no degree or training in archaeology, do not make for reliable archaeological experts. This is particularly true when Dr. Weaver the head of Bob Cornuke’s alma mater lists a PhD on his resume, but Weaver’s own Alma Mater does not grant such a degree. Fifthly, Cornuke’s previous conclusions fly in the face of the Gedolei HaRishonim. For example, he places Har Sinai in Saudi Arabia, not the Sinai. Finally, and acharon acharon chaviv, there are no traditions in the Ethiopian Jewish Mesorah (Beita Israel) about the vessels of the Beis HaMikdash or the Aron Kodesh being in Ethiopia. This is most telling. The media is often taken in by official sounding names. The story that is created is specifically tweaked to be somewhat plausible. They place quotes in the story, but the details are conveniently unverifiable. The people behind it often have an agenda – to promote themselves, their religious and/or social views, or both. The media members do not take adequate precautions such as a few Google searches. Thirdly, the history doesn’t make sense. The Bais HaMikdash was destroyed by the Roman empire in 70 CE. Rome was everywhere, but not deep in Africa or in Ethiopia. Wasn’t the aron hidden during the first bais hamikdosh by Yoshiyahu HaMelech? The Romans never came into contact with it. It was the menorah that they stole. The Aron was hidden by Kong Yoshiyahu during the first Beis Hamikdash and hasn’t been found ever since. Even if it really is guarded by the villagers in Axium – good. Keep it there. They’re doing an awesome job keeping it hidden. We are all tamei and not worthy nor capable of giving the Aron the proper respect it demands, and we have no current use for it anyway. When Hashem decides to give it back to us for whatever purpose, He will. Why would we want to risk people’s lives by trying to handle the Aron? I don’t see what the big issue is about. I read about this years ago online and right away I knew it’s definitely a lie, and maybe also a legend and myth. What’s the big deal? Many religions and people claim to have a connection, in one way or the other, to Judaism and those connections are nothing more than figments of people’s imagination. Ethiopia is the only country in the world where the Aron is a symbol. It is used extensively, especially in their brand of Christianity. It makes eminent sense that there is something too it. However what is that something?Kohanim passing through might have made some type of replica, probably not exact, as a reminder, and it somehow ended up in Christian hands. In the beginning maybe there were 2, one for war, one that always stays. Although there is a Medrash that the Aron was taken away, the one that it was buried underground in it’s place is the most accepted and even brought l’halacha regarding why it is assume to go up on Hat Habayis in tumah. So there’s probably something to it, but not the real Aron. Read the article more carefully. Rabbi Hoffman points out that there’s a makor that the aron was found during bayis sheini. Certainly the Romans could’ve found it if they looked hard enough. In any case, his point is that loi mebo’i ko’omar; it certainly wasn’t removed at the time of bayis rishon, but even if you want to say it was found at the churban bayis sheini, it still wouldn’t have made it to Ethiopia. Back in the 20th century, journalists were trained to check facts BEFORE they published. Unfortunately in the 21st century, journalists tend to publish first, and think later. While one is tempted to blame YWN faults in this area ofn”yeshiva education”, it seems the major establishment media (e.g. CNN) do the same thing, so in theory one can’t fault the yeshivos for not being better at training journalists than Northwestern’s Medill School of Journalism or Columbia’s Graduate School of Journalism (unless one wants to suggests that those who study Torah rather than being schooled in political correctness should know better than to print lies and defamations). The Ethiopian myth is that Shlomo Hamelech had relations with Malkas Shvo, which resulted in a son, who stole the Aron and took it to Aksum. So if we were to believe them all this happened long before Yoshiahu, let alone Bavel or Rome, and whatever Yoshiahu hid was a fake. But it’s all nonsense. There’s not even a hint in the Tanach of anything happening between Shlomo and Malkas Shvo. She came to visit, she gave him gifts, he gave her gifts, and she went home. End of story. No son, no theft, nothing. And in any case Shvo was in what’s now Saudi Arabia, not Ethiopia. I’ve been hearing about keilim hidden in Ethiopia since forever. This is an old myth that no one has ever been able to verify, usually with excuses like “only monks are allowed in the sacred rooms” or some such nonesense. I’m embarrassed that YWN even took the time to publish this sorry excuse for a story, wasting Rabbi Hoffman’s energy to write an unneeded rebuttal. What “media” are you refering to? Do you mean YWN? No reputable “media” organization was “scammed” into believing Bob Cornuke or his BASE organization. Please stop creating false boogeymen. MODERATOR: CNN WAS TAKEN IN. Look in the Tanach that has meforshim on that page. I can ‘t recall at the moment, but one of the meforshim write that story and adds that Nevuchadnetzer was a grand offspring between Shlomo & Malkas Sheva. …. It’s in the Yalkut Meam Loez…. …And yet another opinion that Sheva gave birth to 2 ( twins?) from Shlomo. MODERATOR: CNN WAS TAKEN IN. Please provide a link to CNN giving credence to Bob Cornuke or his BASE organization and accepting their claims as fact. There is an article on CNN Travel from February of this year entitled. Is “The Ark in Ethiopia?” but that has nothing to do with Cornuke it is merely highlighting the claims of the Ethiopian Church. It is posed as a question not a fact. There is nothing wrong with that, and CNN didn’t get “scammed” into believing the claims of the Ark because of “official sounding names”. They were never scammed because no reputable news organization including CNN has ever accepted the claims as fact or presented them as such. Look at that… Some poster here calling CNN, reputable. Mwaaaaahahah..
See what it says in the 1st Mishnah of Shekalim Perek 6: Accordingly one of the Kohanim found the place of the Aron in the Beis Hamikdosh but died before he could summon his colleague. Sorry, Me’am Lo’ez is an interesting sefer but it’s a compilation of all sorts of things, by various authors over the course of more than 200 years, from reliable and unreliable sources. As I understand it Sefer Melachim is the work of R Shmuel Kreuzer-Yerushalmi, in the 1970s. I am certainly not required to accept his inventions as one of the shiv’im ponim latorah. There is very well known machlokes tanaaim whether the aron was taken to bavel or buried somewhere on har habayit. the story of the kohen who saw it buried in the chamber of wood is not authoritative as it only jives with one tannaic opinion. 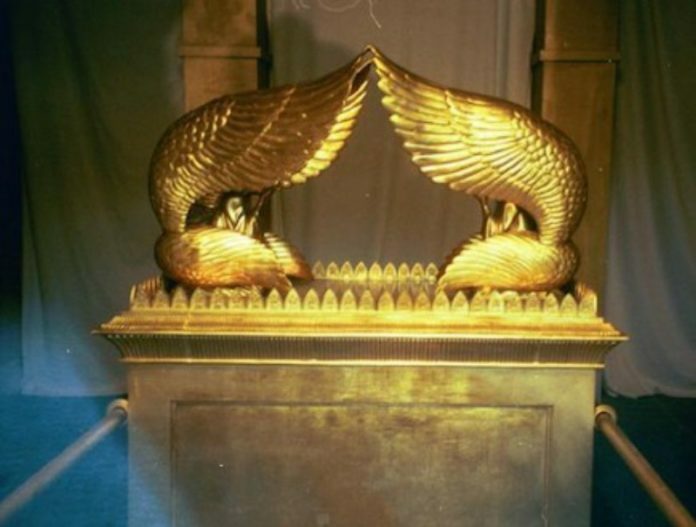 as for the euthopian aron, should it actually exist, could it have been a replica from the Jewish temple at Leontopolis (of choniv ben shimon)?